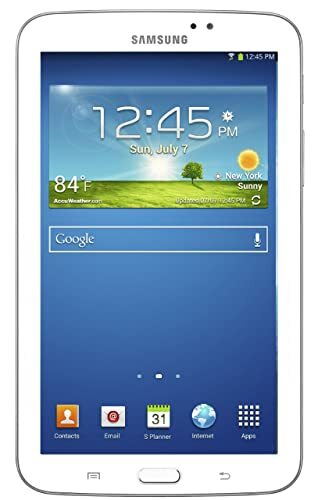 it's not actually a huge discount (it's on Amazon for $179 new and the newer Galaxy Tab 4 is only $199), but this deal does bring the price-point down to a level that many could afford to just try it. Last edited by theksmith; 05-12-2014 at 05:03 AM. I have the same tablet and love it. Runs smooth and fast, easy to hold and use, and very vibrant display for GPS, movies, surfing the forums..etc. Do you guys that use these things find that your "onboard" GPS receiver inside the tablet is sufficient when your out in the middle of nowhere? Or do you need to use something like an external (bluetooth or other) GPS receiver? Send a private message to J.R.
Find all threads by J.R. I haven't been THAT far out with mine yet, but powerline roads and places like the middle of Tonopah have been fine so far. I'll be doing some offroading and camping this weekend while going to the expo, so that'll be a better test. the built-in GPS in my tablet (an original Motorola XOOM) has always worked accurately. i've used it many times in areas with no cellular or wifi signal. maybe if i lived somewhere with heavy tree cover i might need a better antenna, but so far it's been great. most of the confusion stems around the term A-GPS or aGPS. originally this meant Assisted-GPS and was a technology for using the network to help the GPS chip achieve a faster initial satellite lock. but then some manufactures started using the same term to mean a GPS chip that ONLY works with the assistance of the network. so if you see a tablet with A-GPS you've got a 50/50 shot of whether it's better than a traditional GPS or completely useless off the grid! there are some tablets that don't even have any sort of GPS chip but still advertise that they work with location/mapping software. these just get your approximate location based on nearby cell towers, wifi signals, and bluetooth connections so they won't work out in the backcountry at all for maps. unfortunately marketing departments bastardize things and therefore the tablet specs may or may not help. it's best to google for real-world experiences with any specific tablet you are considering. too bad there's not an FTC required term to indicate something having full traditional GPS capabilities.... "Made with 100% Old-School Satellite-Based GPS Chips" perhaps? to add to what KSmith said, what I did was go to a best buy and try each tablet see if the gps could get a signal through the building ( with wifi off) it was hit and miss on the tablet getting a signal, but some heavy research will show what tablets have what. there are apps that use the gps signal from your phone and connects to your tablet via wifi, sending the gps signal to the tablet. so if you already got a tablet that turned out it doesn't have a built in gps.